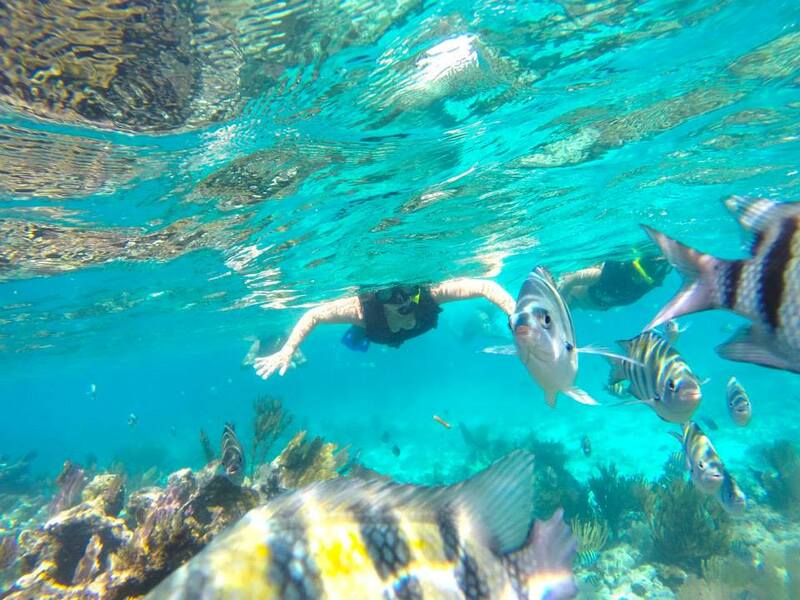 Step aboard for your ultimate day in the Caribbean. 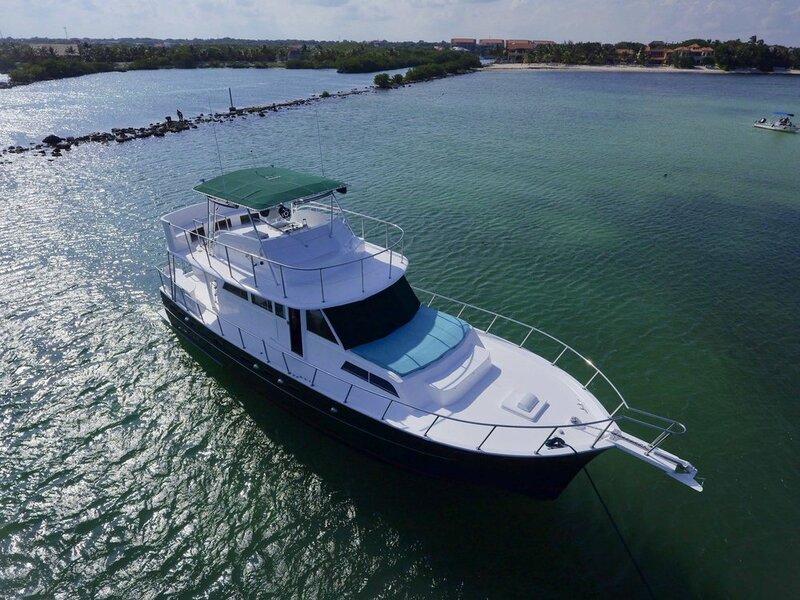 This 58' Hatteras classic is our newest addition and best equipped yacht to-date! We just started touring with her in the fall of 2017 and she's an instant favourite among our guests. Los Dos Piratas our highest end sound system, fully remodelled interior and tons of deck space. The sound system is unparalleled by any yacht in the region. 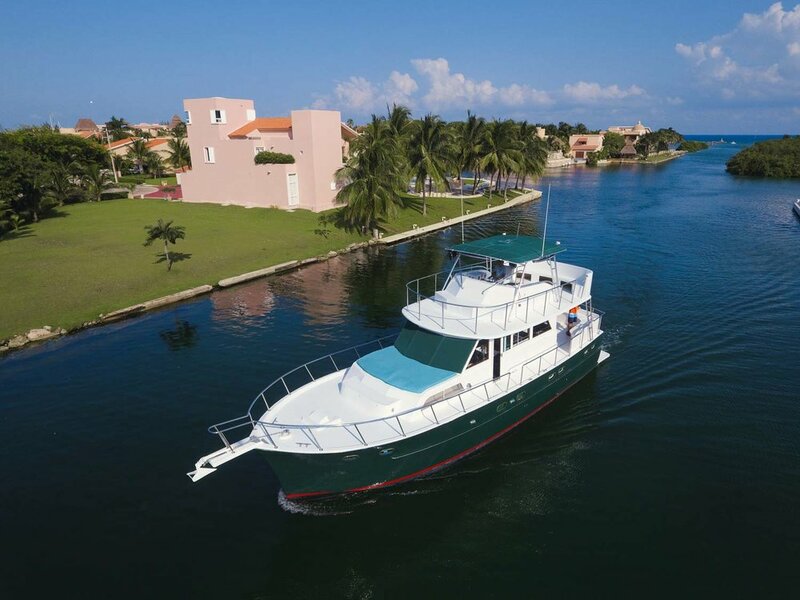 Or keep scrolling to learn more about our classic Hatteras yacht, Los Dos Piratas. 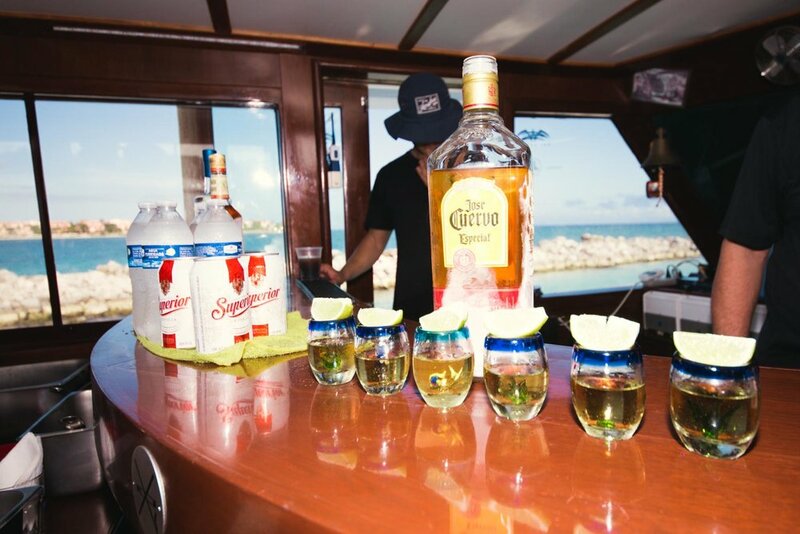 There is no sound system in the Riviera Maya that will come close to what you'll have aboard Los Dos Piratas. It doesn't matter if you would like mellow music at a low volume or nightclub vibes, the sound quality will be incredible with no distortion from wind or the open air. Club quality sound in paradise on the Caribbean Sea. 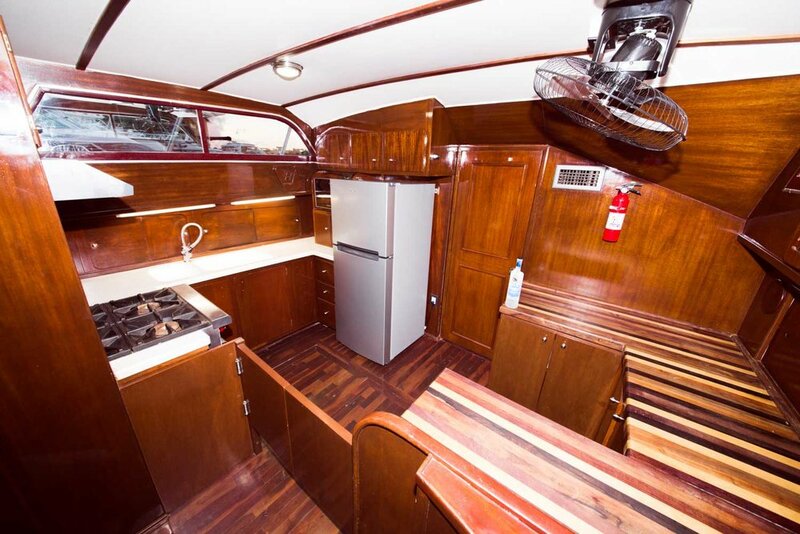 We tore apart the entire interior of this boat and remodelled it with a round bar, all hardwood flooring and details. The galley (kitchen) has top of the line equipment and a full counter custom wood cutting surface where the crew will prepare all your fresh meals. 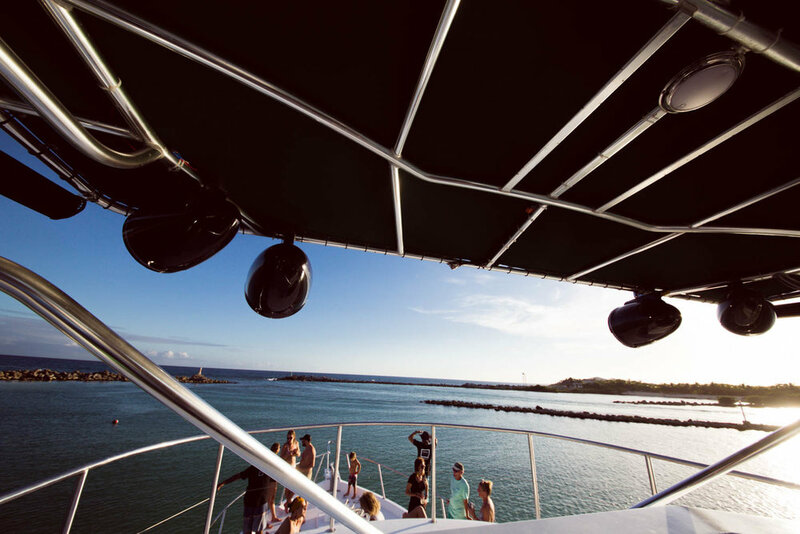 To turn this classic Hatteras yacht into a total party boat we created an entirely new balcony area, more seating up top and cleared tons of space on the bow for socializing and dancing. 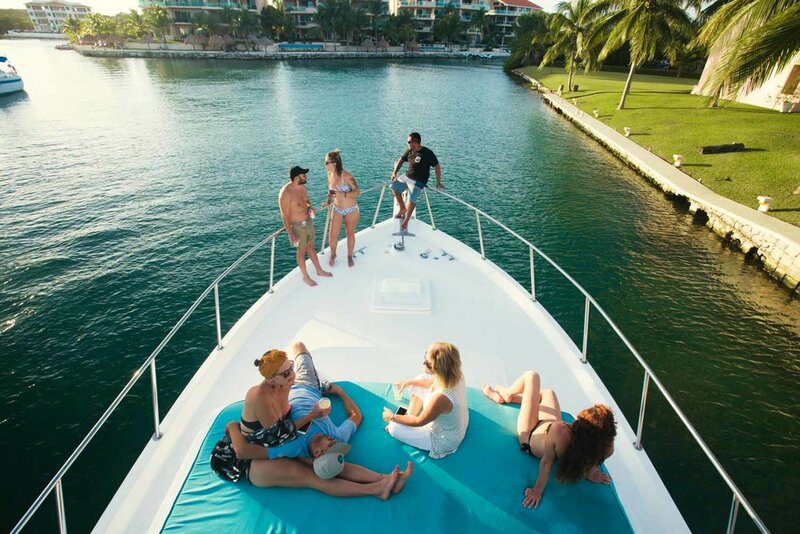 This yacht now has all the space you'll need to celebrate with friends and family, lay out, relax and enjoy the Caribbean how it's supposed to be — in comfort and style. All the items here are included in more detail below on this page, so keep on scrolling to learn more! 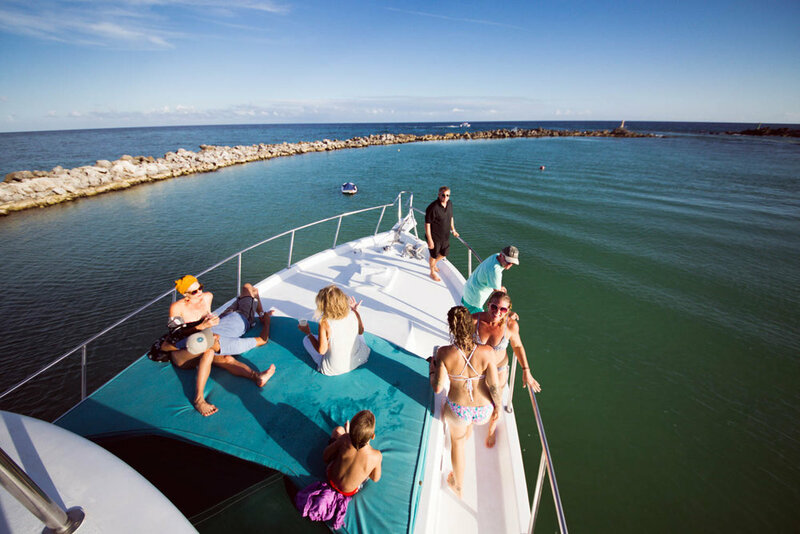 We keep the fun going on every charter from the moment you leave the dock until the moment you don't want to step off at the end of your charter. 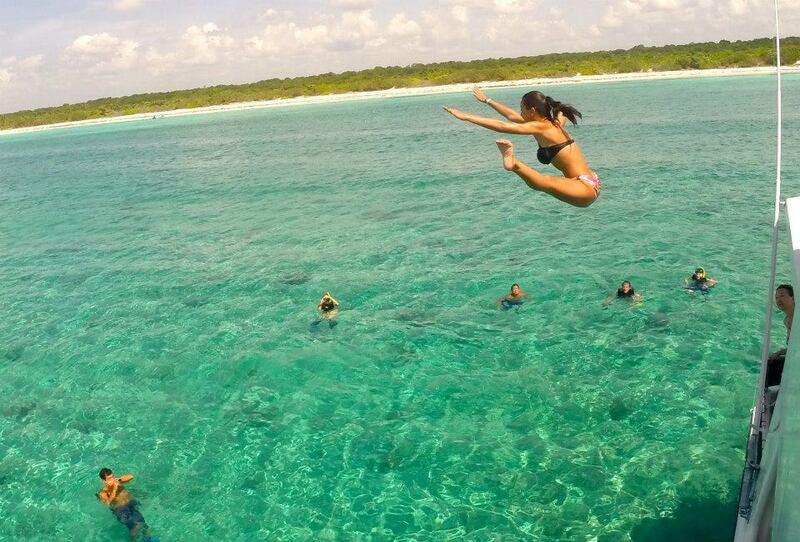 High-dive off the top of the yacht. Price Per Child. Ages 4 or under are complimentary. 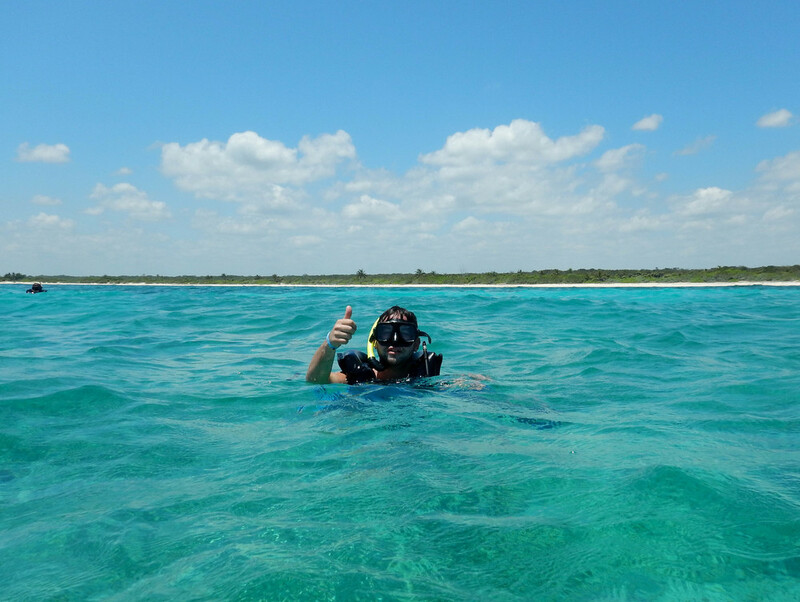 A private charter is $1450 for 4 hours and includes 15 complimentary guests. Each additional adult is only $49 and $25 for children ages 5-12. Kids 4 and under are complimentary. 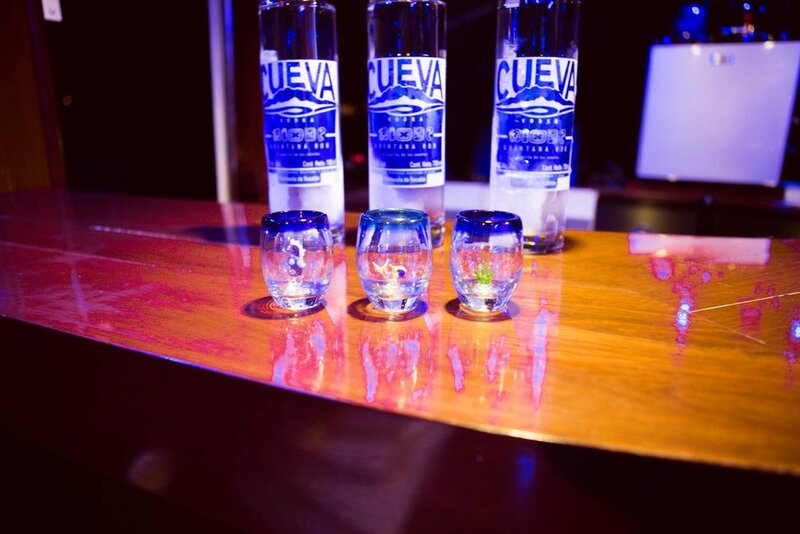 National liquors vary including vodka, tequila, whiskey, and rum. National beer is Carta Blanca. Get a little adrenaline going by jumping off the top deck... then sing your heart out with karaoke!